 Maui Nui Marine Resource Council (MNMRC) is a Maui-based nonprofit working toward our vision of healthy coral reefs, clean ocean water and abundant native fish for the islands of Maui County. Co-founded in 2007 by marine biologist Robin Newbold and kupuna Ed Lindsey, we are celebrating 10 years of working in partnership with our local community to achieve this vision. We have been a kāko'o member of the Network since its foundation in February 2013. Many of the problems that threaten our reefs and undermine clean ocean water begin on our islands. That's why our work ranges from mountains to sea and engages the participation of the community, including more than 100 volunteers. Utilizing scientific research and guided by traditional Hawaiian values, we create innovative and effective solutions to challenging problems. We invite you to join our committed group in restoring and maintaining Maui Nui's marine resources. MNMRC meets the first Wednesday of each month from 5-7:00 PM at Pacific Whale Foundation's Discovery Center. Check out our website and follow us on Facebook, ​Twitter, and Instagram.